Considering wireless monitoring and notification system for public compacting waste receptacles greens collection activity while saving plenty of green. Knowledge is powerful. And for those involved in vehicle-intensive operations, such as waste collection and parcel delivery services knowing exactly when you need to be and where helps minimize miles driven—saving time, fuel and money. Better knowledge leads to greater efficiency, and efficiency boils down to minimizing waste: making the most effective use of people and equipment to get the job done well at the lowest cost, without using more time than necessary. Efficiency helps both public and private sector entities improve environmental and operational performance while also improving the bottom line. Many industries have complex systems in place to manage and predict the collection and delivery of goods and services. In the waste hauling business, stationary compactors have been equipped with automatic fullness sensing and reporting systems to great effect—rather than picking up containers on a schedule, which generally means collecting when the container still has room for more material; collections are done only when the containers are full. This efficiency gain represents a big time saver and allows haulers to optimize routes, providing service at lower cost. However, for everyday trashcans on streets, in parks and other outdoor locations, there has been no information coming from the can itself—these are merely trashcans, with no ability to sense fullness, much less communicate that status to operations personnel. Crews tend to schedule collections based on past experience and average demand, typically erring on the side of picking up the trash too early in order to avoid overflows—which are not only unsightly, prompting citizen complaints and making otherwise beautiful places sullied and unattractive, but trash overflows also present public health hazards and require extra time from crews to pick up scattered litter. Without knowing exactly when public trashcans are full, collecting too early necessarily involves collecting a lot of air—at the expense of time, and human and equipment resources to accomplish higher-value tasks. Evolving and benefiting from smart technologies in other fields, the humble waste receptacle on the street now has a bright new future. Cities, parks and universities across the U.S., Canada and in nearly 30 other countries are now using innovative technology that allows for real-time reporting from every waste receptacle in the field, viewable from any Web browser. This new system is not just a better trashcan. Wireless communication system-wide, powered by solar energy, puts better information at the fingertips of operations managers to drive greater route and staff efficiency. Combining onsite, solar-powered compaction at the point of disposal, with wireless network capability and separation of recyclables, a powerful new, intelligent waste collection system is helping communities deliver critical services at lower cost. The wireless monitoring software solution tracks all compaction and collection activity at each solar compactor in the field. Real-time access to bin fullness information supports operations that collect trash neither too early (wasted expense) nor too late (overflow litter). Optimizing collections allows waste collection teams to maintain high service levels, while dramatically reducing costs. Patterns of historical information allow customers to drive even deeper efficiencies by adjusting routes and staff dispatching patterns. Finally, real-time information ensures “no surprises” and allows the organization the flexibility to shift to prevent issues and address changing conditions on the ground (such as special events, seasonal usage, population or foot traffic growth areas, and weather-related fluctuations in bin usage). A mini “cell phone” in each solar compactor communicates bin-level information to a central network of servers. These servers process the information to present historical patterns, real time information, correlation with maps to visually depict information, and other useful operational data for purposes such as asset and personnel management. Customer-specific information is viewable through a password-protected Internet portal, along with analysis and reporting capabilities and tools to support management decision making and actions. This powerful software tool gathers historical data, delivers analysis of patterns of activity and provides management reporting. Collections personnel use this information to more efficiently plan collection routes and work zones, more seamlessly absorb “peak” activity without costly overtime and generally improve resource planning. Citizens and visitors using the solar compactors appreciate the use of technology and renewable energy to make their communities cleaner and more efficient. The system is educational, and engages people as they use the compactors to help foster more sustainable waste management and resource recovery practices. Together, operations personnel and users can begin to shift behavior to help promote a clean, litter-free and more sustainable community through better waste collection operations. While many communities have stated laudable goals of moving toward zero waste, for the foreseeable future we will need to collect and transport materials (including recycling, compost and other recoverable materials) from the point of disposal to the next step in the process (be that a transfer station, MRF, compost heap, landfill or other facility). So we need to make the collection and transportation part of the waste collection process as efficient as possible, to reduce costs, reduce fuel consumption and vehicle emissions, and to re-allocate the saved labor to other high-value tasks. Real-time knowledge of fullness and collection status from every receptacle in the network enables dramatic efficiency gains in waste collection now and as waste streams evolve going forward. Facing budget pressures, private and public managers face the challenge of reducing operating costs without sacrificing service levels. The wireless network system provides the visibility to make sure that operations are planned and optimized to deliver on that challenge. Waste collection is an expensive and time-consuming business—and a necessity for public health and safety. With demand for waste collection rising and city budgets shrinking, innovation is required. The City of Philadelphia is leading the way with one such innovation. On April 30, 2009, Mayor Michael Nutter unveiled the first of 500 “BigBelly” solar-powered trash compactors and 210 companion single-stream recycling units to be installed throughout Center City Philadelphia. The compactors are “smart” trash receptacles: equipped with the “CLEAN” (Collection Logistics Efficiency And Notification) software solution, whereas each unit sends a wireless signal to a central server where staff can see which machines are full, so managers can optimize collection routes in real-time based on data from every machine in the field. The solution is simple on the surface, but is powered by patented and proven third generation technology. By using solar power to compact waste at the point of collection, each solar compactor can hold about five times the amount of waste as a typical receptacle, eliminating the need for four out of five collection trips system wide. Network monitoring software provides the information required to drive deep efficiencies in deployment and management of assets and crews. The result is up to an 80 percent reduction in collection vehicle trips that consume large quantities of time and fuel, and divert valuable staff time from other priorities. All while maintaining or improving service levels. Immediate savings: By entering into a three-year financing arrangement, the City has no up-front capital cost and will realize collection cost savings in the first year of approximately $850,000—with cumulative savings of $13 million expected over ten years. Asset monitoring and management: The Streets Department can manage assets all across Center City, obtaining valuable and actionable information from any Web browser, at any time. Expanded recycling: This initiative introduced street-level recycling for the first time in Philadelphia, providing greater savings while promoting sustainability. The BigBelly Solar (Newton, MA) intelligent waste collection system combines solar-powered trash compaction, efficient recycling solutions, and network monitoring and management software into a powerful approach that enables municipalities, colleges and universities, government facilities and other institutional customers to reduce the operating costs associated with collection by up to 80 percent. In times when customers are looking for ways to maintain required levels of service while wrestling with tightening budgets, the patented BigBelly Solar intelligent waste collection system is a compelling answer. BigBelly solar compactors automatically compact trash to eliminate four out of five collection trips, reducing fuel use and emissions, while allowing the productive redeployment of labor to recycling and other critical services. 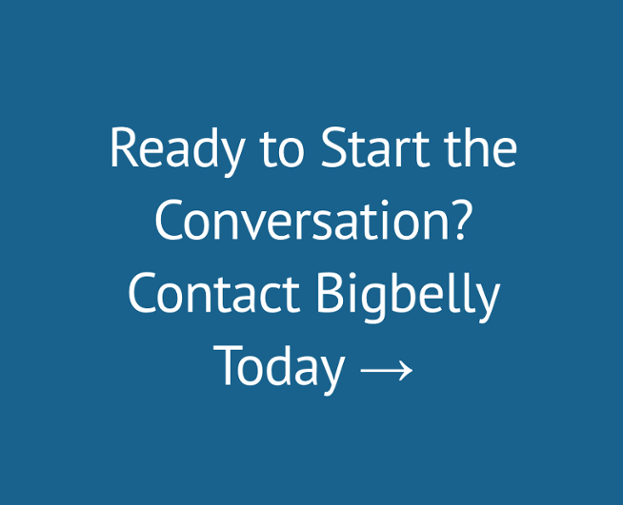 The BigBelly system can provide immediate cash flow savings. Enclosed design keeps litter in, pests out. Wireless network monitoring and management system available. Made in USA. BigBelly Solar is also enabling more than 750 customers in nearly every state and 30 other countries to become visible leaders in practices that are more environmentally sustainable—displacing fossil fuel usage through renewable energy, increasing recycling rates and reducing cross contamination, reducing litter and associated public health concerns, and creating a messaging platform to engage users and influence more environmentally-conscious behaviors.